For over 15 years, the Newcastle Drum Centre has been providing the North East and the UK with not just a drum store, but also working closely with local and national music services, schools and community bands on a regular basis. Newcastle Drum Centre pride themselves on friendly, open and honest advice and in the short time we’ve known the team, it’s obvious just how much they care about pleasing their customers and maintaining the reputation the store has. Union Room were tasked with picking up the website from a mid-point in the project, so it was vital that we hit the ground running. 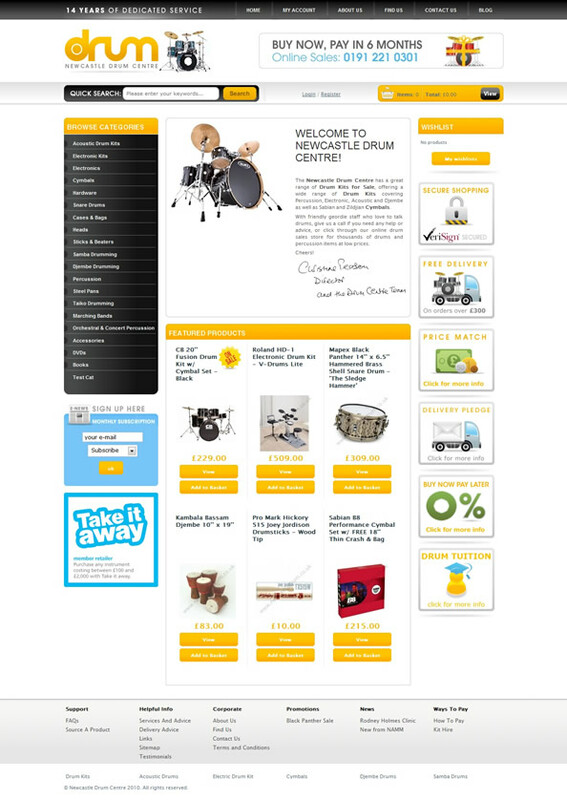 Since starting work on the site in March, we’ve helped the Drum Centre create a website that will contain over 10,000 products and provide customers with an improved method of purchasing the best selection of drums and cymbals in the UK.